It seems the most obvious that you need metal drills to drill into metal. However, there are different drills for the many different alloys and steels. Metal drills are unusually hard and sharp. 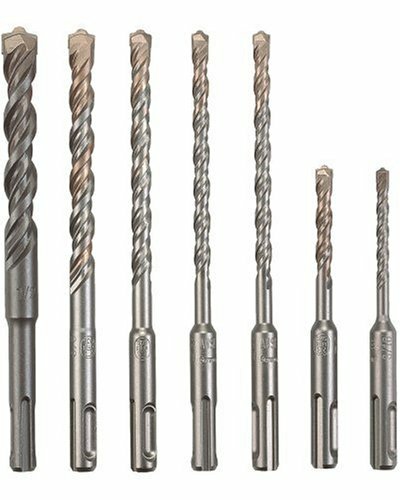 Here are some of the best drill bits for steel. The following are its specifications that will also help you decide which one you need. Everyone knows the scenario: You want to drill a hole in metal, open the toolbox with the drill and see countless different drills lying around in it. How can you now tell which one is suitable for metal drilling? It is quite simple: metal drills are particularly sharp. It eliminates the masonry drills which tend to have a kind of chisel on the drill head. There are still wood and metal drills. Wood drills are recognizable through its obvious center point and that the ends of the two cutting edges also have a point which lies approximately at the same level as the center point. Metal drills do not have this. There is no meaningful classification on the color. They are usually grey silver or gold, sometimes black. Wood drills are typically gold or black, and masonry drills are generally silver or sometimes silver grey. The best thing to do is look at the heads. 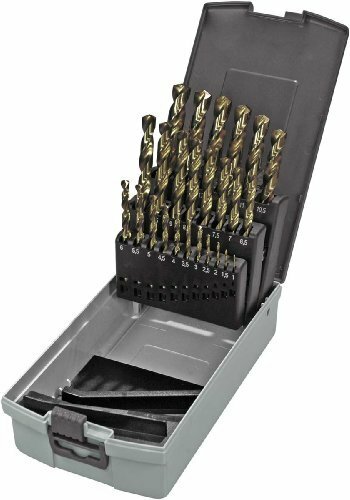 It is a metal drill set alloyed with cobalt and is therefore extremely hard. The manufacturer also declares it suitable for stainless steel and hard cast steel, specifically for all other metals and alloys with a tensile strength of over 800 N/mm². Its cheap, hard, and high-quality metal drill set. 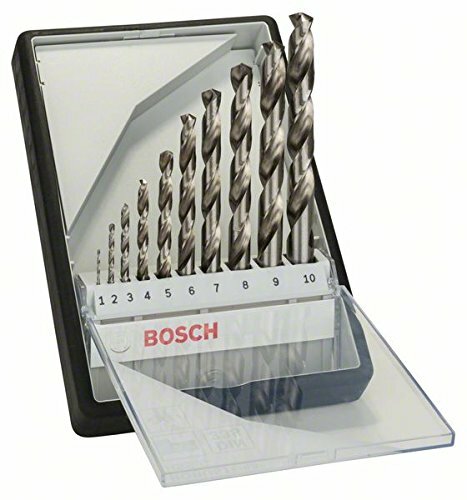 The metal drills of the HSS-G Robust Line from Bosch are self-centering, and therefore no grains are required. Also, there is no need to pre-drill. However, it is not cobalt alloyed and not suitable particularly for hard metals. Despite that, it is perfectly adequate for standard steel. Alpen applies to soft and hardwoods, chipboards, hard fibreboards and for dowel hole drilling. It has precision grinding and pinpoint accuracy. One of its best features is its heat resistance up to 250 °C. It is suitable for hand drills from Hilti, Bosch, Makita, Hitachi, Fein, AEG, Metabo, DeWalt, Black & Decker, Brüder Mannesmann, Kress, Wolfcraft, Einhell, Milwaukee, Flex and many more. Bosch drill set is for processing of concrete, masonry, and sand-lime. The drills can be used for all impact drills. It has excellent performance with two cutting edges made of durable carbide for durability and superior resistance. It also has 2-spiral U-shape for proper drill dust removal. Always examine your needs and type of application, so you can know with greater certainty which one is the best socket sets for you. These sets of keys are infallible; it can’t be missing at home, in the workshop or the toolboxes of a professional. Moreover, most are of high quality, offering the most prominent brands up to a guarantee of 10 years as it is practically an investment that can last you a lifetime. There are lots of economical, high-quality and various of best socket sets out there; everything depends on making a good choice. Remember to check very well the accessories and the variety of heads that can contain the game, so you will know if it fits your requirements. If you need sockets for professional use, bet on the complete kits like the Mannesmann brands. If only to repair anything at home, you can lean for the most basic kits like the Vigor brand on the list.